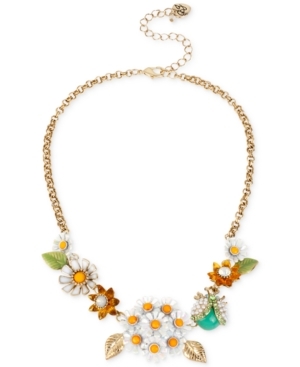 This is a wonderful Betsey Johnson Gold tone necklace that is expressive in its nature. Daisys are just a few of the wonderful accents. Try it on now with ViewTry.com.